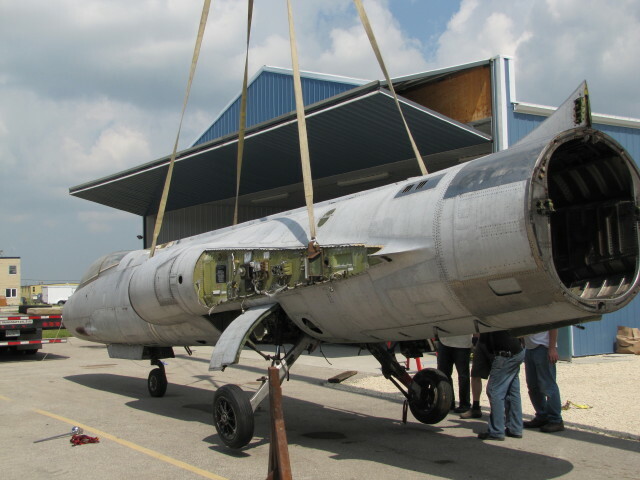 The Canadian Starfighter Museum in Winnipeg, Canada is very busy getting their CF-104 serial 12703 (obtained from Denmark) ready for display. To remove the paint the aircraft was completely soda-blasted which is a process that removes the paint but does not harm the aluminum. It is expensive but it has saved the team a tremendous amount of time in labour stripping the aircraft the old way with toxic chemicals. It is more environmentally friendly and less harmful to people working with it. The team will polish the aircraft aluminum and put the aircraft back into RCAF colours as it flew in 1 Wing, Marville, France and Lahr, W. Germany prior to the implementation the Canadian Forces tri-service. They were also successful in acquiring a Vinten Camera Pod which was designed and built in Canada for use exclusively on the CF-104 Starfighter. 12703 will be back in the proper RCAF colours carrying the camera pod in it's role as a photo-reconnaissance aircraft during the Cold War era. 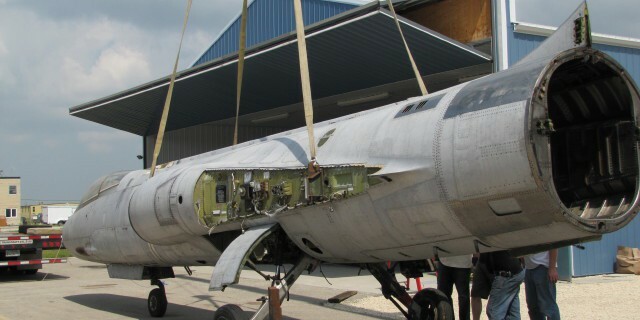 The aircraft arrived back at the museum on July 30th, it was unloaded and placed in the Canadian Starfighter Museum's hangar at St. Andrew's Airport, Winnipeg, Manitoba, Canada. Now the team continues the work on the aircraft being assembly and additional paintings of markings etc. This will take some time and we will keep you updated on the progress.